ICAP, a UK-based financial services firm, says its post trade risk and information (PTRI) division has completed a proof of technology test case for blockchain. Jenny Knott, CEO of ICAP’s PTRI division, says it has demonstrated one of the “first real world applications of distributed ledger technology that has the ability to significantly transform the post trade landscape”. The proof of technology used the multi asset messaging and matching Harmony network, and blockchain infrastructure provided by Axoni, a New York-based technology firm, to create a private, peer-to-peer, distributed ledger network using smart contracts. Axoni’s implementation of blockchain provides life cycle automation, transactional privacy, processing of trades to support high-volume markets, automated reporting, and a permissioning system to onboard new network participants. 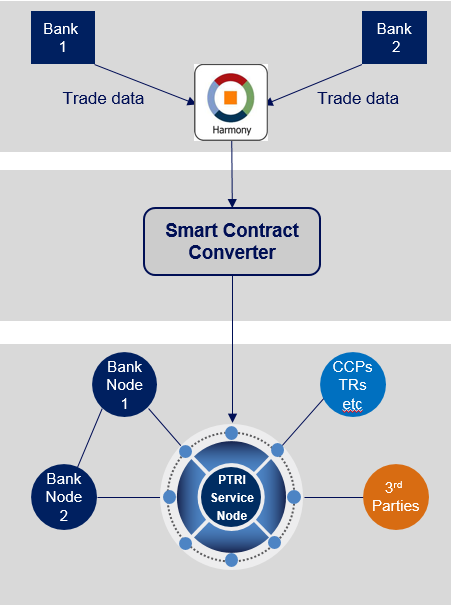 Tested using bilaterally executed spot/forward foreign exchange block trades, the PTRI division imported matched messages from Harmony and converted them in real time to blockchain-based smart contracts. ICAP says the proof of technology demonstrated the potential to provide a “common golden source” of user transaction and reference data cross asset, and securely code messages to be viewed only by permissioned participants. Over the coming months, the PTRI business says it will discuss with participants how they can access the new golden data source. ICAP and Interactive Data Corporation have begun a collaboration aimed at making pre-trade price information more easily available for institutional investors and risk managers. The Singapore Exchange is to launch FX block futures on ICAP’s FX platform EBS Market, in a deal the two companies say will bridge the FX OTC and futures markets. The move comes as regulators around the world seek to move as much trading activity towards cleared platforms as possible, as part of the ongoing G20 reform agenda. ICAP has launched a swap execution facility in the UK, as part of a push to dominate both the European and the US OTC derivatives markets as they are brought under new regulation.